In my working life at Wren Autolectrics, I repair starters & alternators amongst other things, so when someone rang me today to ask if I could repair a starter motor from an Isuzu engine fitted in a boat it was nothing unusual. 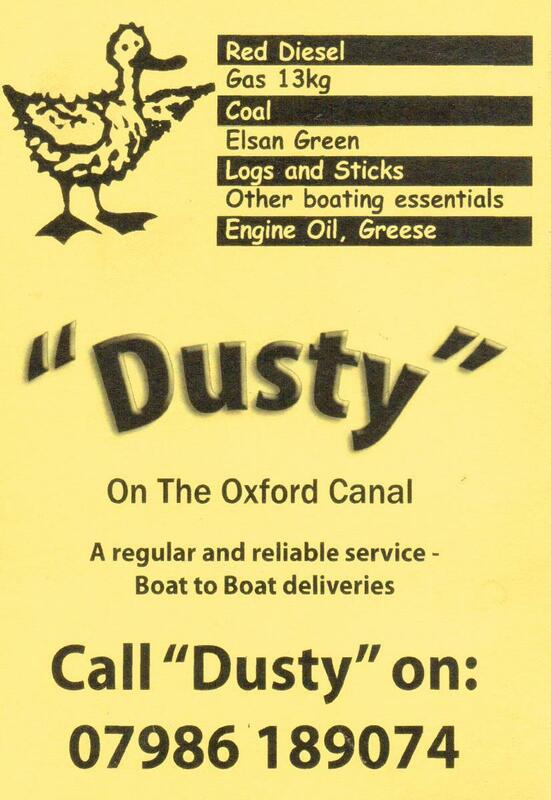 Nor was it unusual that they said they had been recommended to contact me by Cotswold Diesel Services and when I met the guy it transpired it was the starter from his father’s narrowboat. Out of interest I asked where it was moored, expecting somewhere local, he replied Pewsey, where we were last weekend! It seems that as it as it was an Isuzu engine the nearest dealer was Roger at Cotswold Diesel Services, 60 miles away, he didn’t have a starter in stock so he recommended me, the owner’s son (who’s from Marlborough, where we lived when we were first married) was working in Stroud today and I was able to repair the starter this afternoon. A good result all round. After being at work this morning and doing some decorating this afternoon we felt in need of our regular ‘canal-fix’, so today we chose the Kennet & Avon again but this time back to my Moonraker roots in deepest Wiltshire, to Honeystreet infact. I’ve never been to this little corner of Wiltshire before, but often been just a few miles away in Pewsey. We discovered the Barge Inn’s website, so we decided to go and see for ourselves. 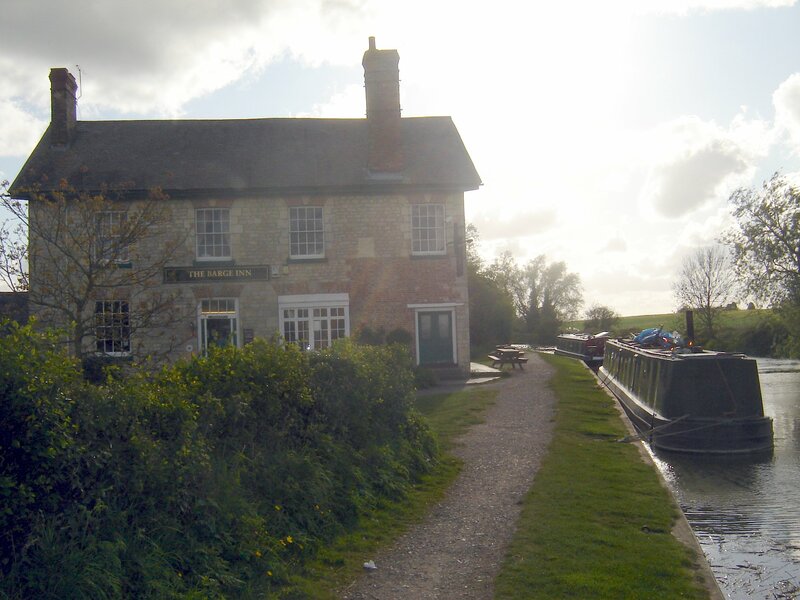 This hostelry has been there as long as the canal has and it has a proper village pub feel about it. It seemed to do a good trade, with boaters, cyclists and campers from their own campsite keeping them busy even in early evening. Their choice of music in the bar was remarkably eclectic ranging from electric folk to heavy rock to Gershwin… something for everyone! Live music Saturday evenings too. The pub is tucked away down a little lane and it looks for all the world that you’re driving into a timber yard, but then you emerge, as if though a time warp to this little canalside community with the pub’s ancient looking outbuildings side by side with their camping site! The pub was apparently used in an episode of ‘Morse’ where they needed to recreate a 19th century scene. We had intended to have a meal there and rang ask our good friends in Pewsey to come and join us but they were out shopping and instead they persuaded us to come and join them later for spag bog at their place. 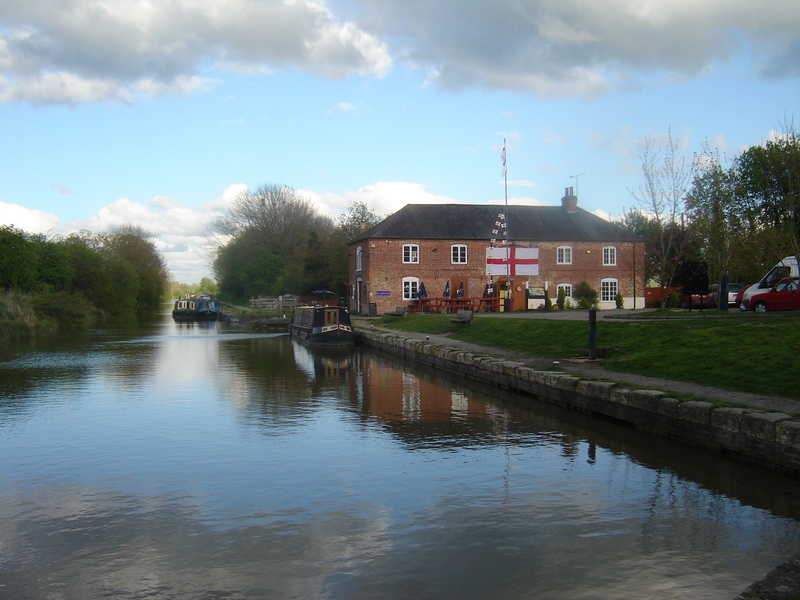 We made our way over to them Via Pewsey Wharf and The Waterfront, then spent a convivial evening at their house instead. It was no surprise to find that none of us have got any more sensible in the 35 years or more that we’ve known each other! The time passed so quickly that before we knew it was getting on for 10pm and we had to get on our way home. The weather forecast for today was good so we had decided to play hookey from church and go to the Boat Jumble at Gloucester Docks. The morning dawned somewhat less than promising, so we rose quite leisurely and fortified ourselves with bacon and eggs, (not quite included in the low GI diet!) and then drove to Gloucester. By the time we reached the docks there was enough blue sky “to make a sailor a pair of trousers” as mother would have said and we parted with £3.50 each to get in, well we did manage to find a place to park for free out on the road and it did include admission to the Waterways Museum. We had not been to a Boat Jumble before so didn’t know what to expect, but there seemed to be more trade stalls than jumble, much like some car boot sales. We did manage to spend some money however; on a hole cutter set, a pair of ‘unbreakable’ reading glasses and some flip-up/clip-on sunglasses which Joy finds hard to find usually. When we had spent our hard-earned we strolled around the museum which we hadn’t been to for quite some years. I was surprised that there weren’t more ‘canal’ exhibits but of course Gloucester was in fact an inland port. Before leaving the docks we bought ourselves lunch from Subway, a much healthier Veggie Delite option, which we consumed on one of the benches overlooking the Victoria Basin. After lunch the weather had become glorious so we made our way up the A38 through Tewkesbury and on to Upton on Severn and had a mooch round the marina there and managed to get No 1 son some stainless steel bolts he needed from the chandlers there. We had hoped to have a nosey at the Starline narrowboat hire fleet as a friend of ours had hired from them last week, but their office was closed and not a boat in sight, which must mean that they are all out earning money, no bad thing in this economic climate, huh? Just along the riverside from the pub we happened across a dress shop called Fair Exchange and stepped in as my nephew and his wife are celebrating their silver wedding (I can’t be that old, surely?) and something glamorous was required for Joy to wear to the celebratory casino evening (never been to one of those before!). Imaging our delight when she not only found a dress she liked but shoes and handbag as well, what are the chances of that in the first shop we visit? With that achieved we made our way home and enjoyed pizza and Greek salad on our decking in the sunshine, just before it disappeared behind Stinchcombe Hill, what a great day out! P.S. Oooh! Even more good news… “Our” boat, the one we’ve been attracted to since last July and contrary to what the broker told us last month, still seems to be for sale. It is no longer listed as “deposit placed” on the website and the price has been reduced a little, so it’s still there waiting for us. We have been very busy these last weeks trying to make our house look presentable for prospective buyers. Last week’s job was giving the kitchen a make-over, new oak doored wall cupboards, ivory base units and beech-look work surfaces, très chic :). We thought we were going to have the long weekend to do it but the estate agent wanted to bring some people for a viewing at 10am Saturday so the whole process had to be accelerated somewhat! So… to reward ourselves for all this hard work we took of to Bradford on Avon today to check out day boat hire which we are thinking of organising for our church community group, so we paid a visit to Sally Boats based at the marina. I think they have had a tough time lately but seem to be back on track now and we wish them prosperous season, and if we can help by bringing our friends there so much the better. After visiting them and having a beer and a light lunch on the sun deck of the adjacent Beef & Barge pub we ventured back down the towpath towards the town and did a little obligatory gongoozling at Bradford Lock 14.